Showings will start on Weds. Feb.23rd. This is living! 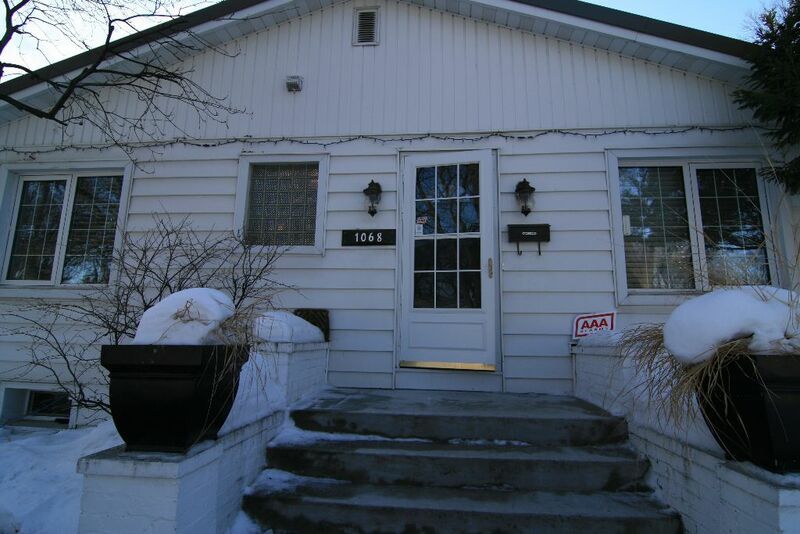 Stunning, remodeled, bright & open bungalow on the Assiniboine River , with a Southern exposure sloping , terraced lot! Large Living room with oak hardwood floors, many windows & crisp white trim, with numerous pot lights. Gourmet Kitchen with maple cabinets some with glass fronts, granite counters & raised breakfast bar area, built-in dishwasher, built-in microwve, tile backsplash. Dining room with oak hardwood floors, & a large window overlooking the yard & river. 2 bedrooms, with the Master with the view of the river. Remodeled 4 piece bath with ceramic tile, glass blocks & a heated towel bar. Full basement, unfinished, with great height for development. Updated forced air gas furnace in @ 2003. Central air. Updated 100 amp Breaker electrical panel. New metal roof in 2009 at a cost$6195. Some updated windows, 4 basement windows in 2009. Front unistone patio area. Carport. 2 storage sheds in backyard with a Barkman stone patio.